Wizz Air last week began operations with its first 230-seat Airbus A321ceo1 and today invited media representatives from several of the company’s largest markets aboard for a demonstration flight at London Luton Airport, one of Wizz Air’s busiest airports and the first destination for the new Budapest-based aircraft. 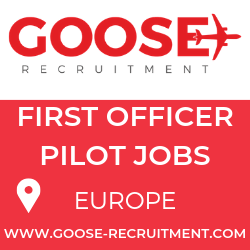 Wizz Air’s first A321ceo began daily commercial service between Budapest and London Luton Airport on 20 November. Following this delivery, Wizz Air has 26 additional current-production A321ceo aircraft on order with Airbus for delivery through 2018, including the second in December and nine in calendar year 2016. 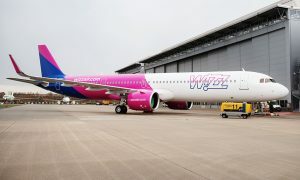 The first four A321ceos will be based in Budapest and subsequent deliveries will be deployed on the most popular routes in the growing Wizz Air network. Earlier this year, Wizz Air made headlines at the Paris Air Show with a further order of 110 Airbus A321neo2 aircraft for delivery from 2019 through 2024. 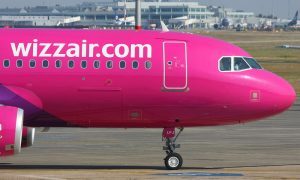 Adding the A321ceo, the largest member of the A320 family, positions Wizz Air to meet growing passenger demand for low-fare air travel in Central and Eastern Europe. 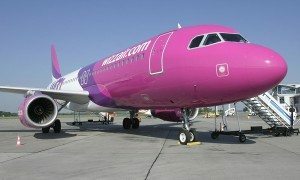 In the first half of fiscal year 2016 (year ending March 31, 2016), Wizz Air carried 10.7 million passengers, a 20 percent increase in traffic over the same period in fiscal year 2015, and its load factor grew to 90.7 percent. Wizz Air recently announced a leasing agreement with CDB Leasing (the leasing arm of China Development Bank) to finance six Airbus A321ceo aircraft, including the two A321s delivered this year.